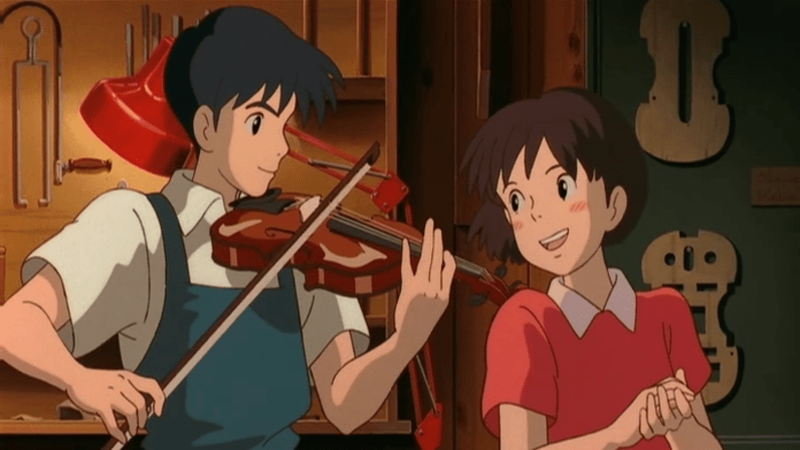 Whisper of the Heart is a Studio Ghibli film that premiered in the summer of 1995. It’s a film that focuses on the young love of two teenagers who find themselves in a time of change and eventual commitment. It can be considered a coming of age tale, or maybe just another romantic drama, but director Yoshifumi Kondo kneads a particular narrative that has a touch of something spectacular: reality. A young girl named Shizuku lives the life of pretty much any ordinary student, though her hobbies are that of reading and writing. Her friend Yuko has a crush on a fellow classmate, but it’s clear that Shizuku isn’t quite concerned about boys until she meets Seiji Amasawa. The introduction to their meeting is a fairly typical one, with Seiji picking fun at her efforts given to rewriting the classic song Take Me Home, Country Roads. Being the adventurous type with nothing in particular but school to focus on, Shizuku follows a cat around town to an antique shop. By coincidence, Seiji’s grandfather owns the shop, eventually leading to more interactions between Seiji and Shizuku. 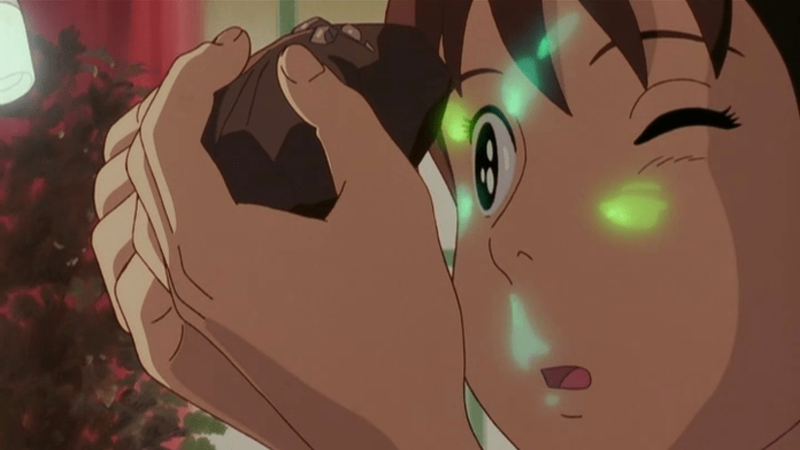 Yet Whisper of the Heart is more of a tale about Shizuku’s growing into a young adult. She’s inspired by Seiji’s commitment to be a professional luthier and in turn writes a short novel, wrapping her feelings and outpouring of heart into the work simply because it’s something she needs to do. Her sleep schedule is thrown off, she avoids eating when possible, and her placement in class slips behind everyone else. Shizuku’s father reluctantly gives her the okay to continue writing, probably sensing it will help her to discover herself in some fashion even if he knows it’s temporarily distracting her from school. 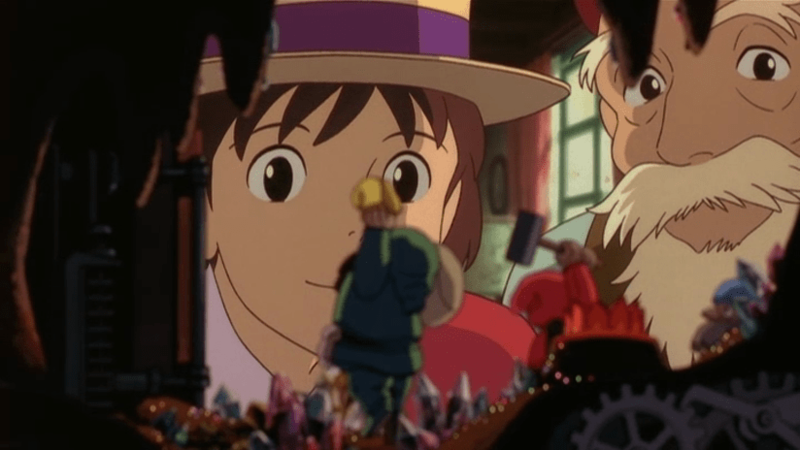 The simple decisions that characters make in Whisper of the Heart go a long way, and so it’s that much easier to personally relate with the film. Seiji’s grandfather Shiro provides a few ways for director Kondo to work fantasy elements into the film. With age, Shiro is wise and helps to steer Shizuku into a refinement of her talent. 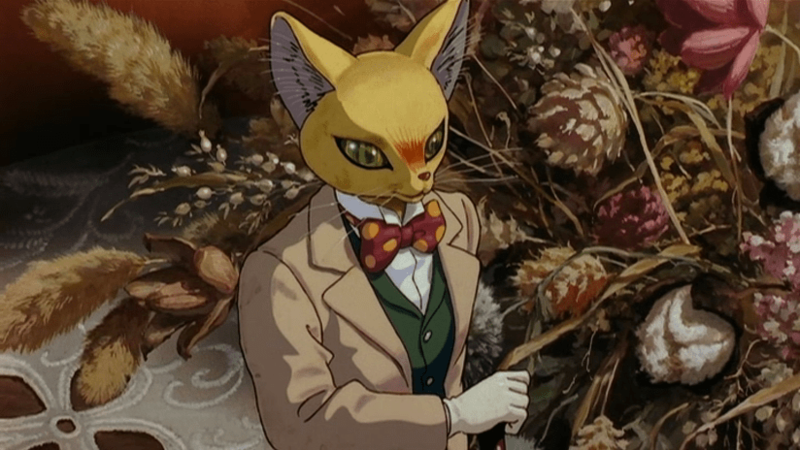 Her writing translates beautifully to fantasy backdrops drawn by artist Naohisa Inoue, with Shiro’s cat statue the Baron animated into life. The fantasy scenes really help to balance a story of inner trials and young love with simple fun. 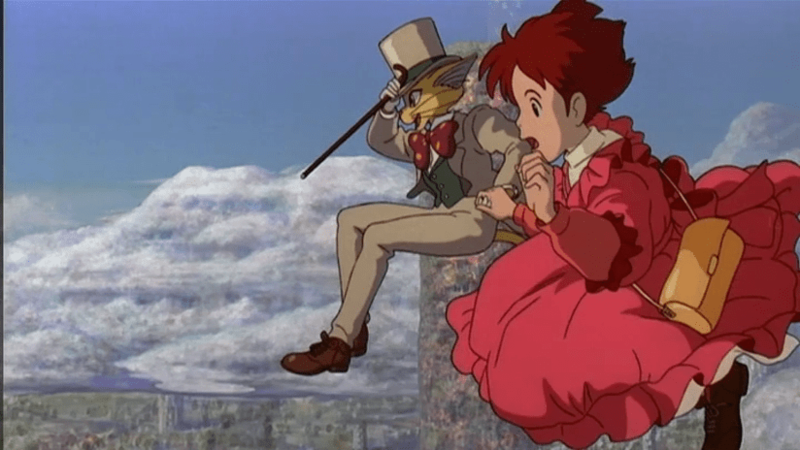 The love story behind the Baron statue and the fantasy scenes in Whisper of the Heart were popular enough to inspire a mostly unrelated sequel titled The Cat Returns. 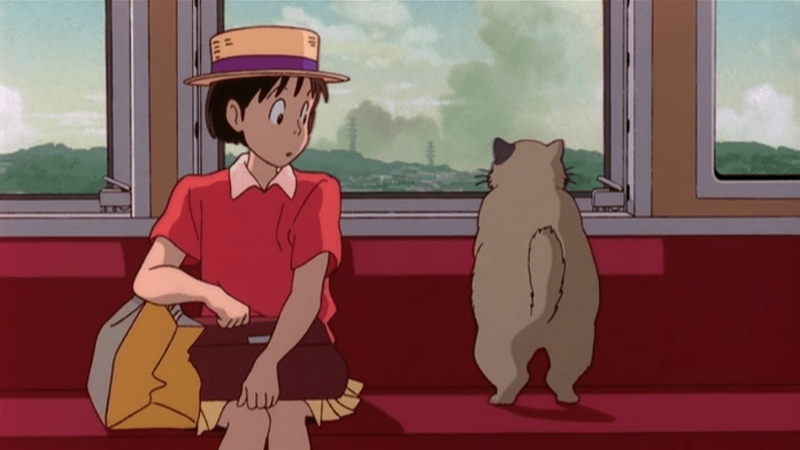 Muta, the cat that Shizuku follows around the city early in the film, also makes a return. Something that always impresses me in Studio Ghibli’s works and anime in general are the painstaking attention to details and the beauty of hand-painted animation. 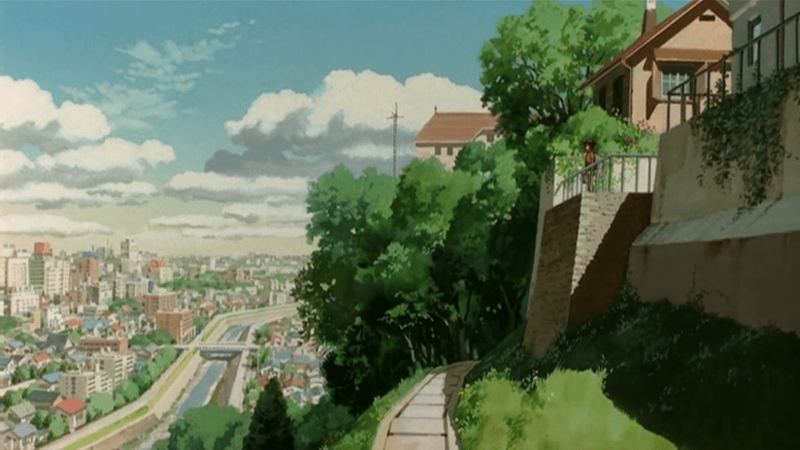 Whisper of the Heart looks beautiful and a few scenes stand out beyond Inoue’s famous backdrops. Take for example the scene where Shizuku is following Muta around the city. As she makes her way up to Shiro’s shop there’s a beautiful landscape shot that takes in everything you could possibly see in one instance. Shizuku looks so small compared to the rest of the world, reflecting how her story is only one ripple in a tide of many others. Beyond the visual beauty of Whisper of the Heart is its inner story beauty, where we essentially see a chunk of Shizuku’s life and what happens between her and Seiji. The relationship that forms between them and what they each realize in their lives is something incredibly special. I should point out that I enjoy the English dub a bit more than the original. I think it’s mostly because I have an easier time believing the tones within Shizuku and Seiji’s voices; they sound like younger teens. In preparation for this Anime of the Past I watched the film for the first time in Japanese with subtitles, but the tone is harder to absorb because they sound more mature. They say things that I wouldn’t expect people their age to say, but maybe it’s because I am more aware of Disney’s younger-audience translation. If this is the case, then Miyazaki’s original intention in tone seems to present something easier for adults to relate to with his screenplay adaptation. Shizuku especially feels like an entirely different character who seems to be portrayed vocally as more serious in Japanese, but more lighthearted in English. If anything, both presentations help to fully relate that Whisper of the Heart can be enjoyed by differed perception. As a side note, the saddest thing about Whisper of the Heart is that director Yoshifumi Kondo passed away of a ruptured aneurysm in 1998. Kondo was experienced, working as an animator, character designer, and supervising animator for Ghibli over the years. He showed so much promise that Isao Takahata and Hayao Miyazaki thought Kondo to be their directorial successor. But as Takahata mentioned in his eulogy for Kondo, “I am sure that your work will continue to live, be loved by people, and influence people”. 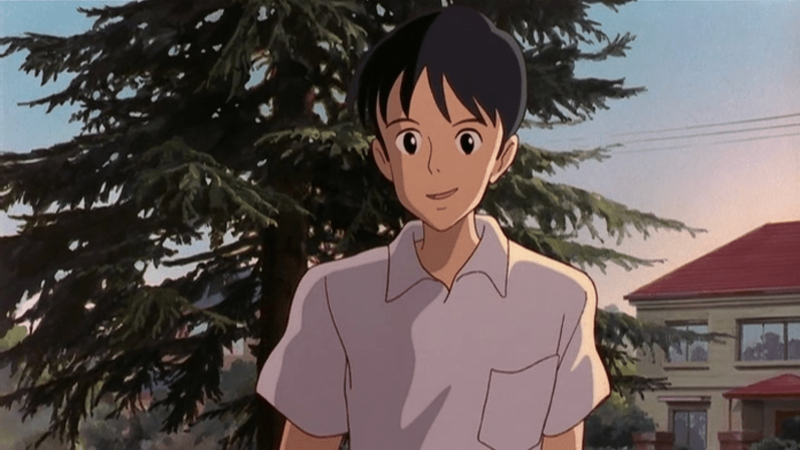 People say to look beyond the “what ifs” in life, but sometimes I truly wonder what Kondo could have produced after Whisper of the Heart. He will be missed. Whisper of the Heart was first released on DVD and is now available in a Blu-ray and DVD package by Walt Disney Pictures. The release features the original Japanese audio with English and French subtitles and an English dub. The film is rated G for general audiences. Note: Some of the writing in this Anime of the Past samples an article I wrote on my personal blog Symposium for Geek.